In this Sept. 20, 2017, file photo the Nest Secure alarm system is seen on display during an event in San Francisco. Google says it forgot to mention that it included a microphone in the security product it began selling in 2017, but blames the omission on an error. 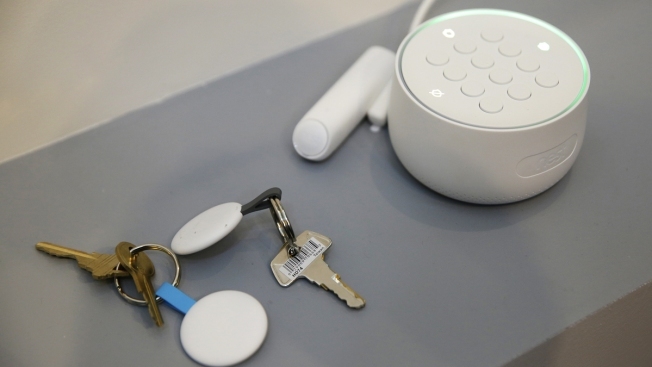 Google said Wednesday it forgot to mention that it included a microphone in its Nest Secure home alarm system, the latest privacy flub by one of the tech industry's leading collectors of personal information. The company said earlier this month that its voice assistant feature would be available on the system's Nest Guard, which controls home alarm sensors. But Google hadn't told consumers about the device's built-in microphone when it began selling the hubs in the fall of 2017. As recently as January, the product specs for the device made no mention of a microphone. Google said in a statement that the omission was a mistake. "The on-device microphone was never intended to be a secret and should have been listed in the tech specs," it said. The microphone hasn't been active since launch, and people have to specifically enable it going forward, Google said. Business Insider first reported the microphone had been missing from the product's description. Google and other Internet companies are facing increasing scrutiny over their data collection practices. The forgotten microphone is not Google's first run-in with user privacy concerns. An AP investigation last year found the company was tracking users' location information through its apps and search services, even if users turned the feature off.